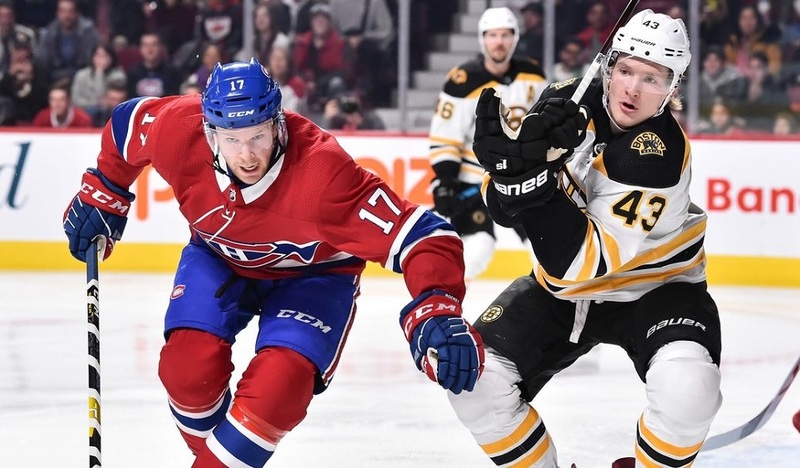 The latest instalment of a Game 7 for the Habs came on Tuesday night as they faced the Presidents’ Trophy-winning Tampa Bay Lightning. 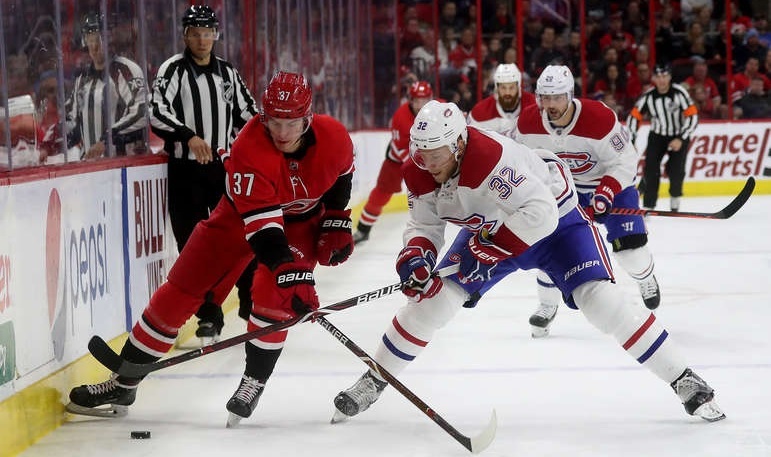 This was a difficult matchup to handle while trying to close the gap on Carolina, but they did get some help as they held a distinct advantage in net as Carey Price faced former Montreal farmhand Eddie Pasquale who was playing in only his second NHL game. Coach Claude Julien opted to keep his defensive pairings intact while committing two changes to the forwards, both on the fourth line. Jesperi Kotkaniemi and Paul Byron got back into the lineup and played wing on a line with Nate Thompson. This meant that Matthew Peca and Nicolas Deslauriers were back to the press box with the season on the line. This change paid immediate dividends, but more importantly, the fans in attendance were treated to an outstanding effort from the home team as the Habs outworked the Lightning in every single aspect of this game for the entire 60 minutes to earn a 4-2 victory. With a Blue Jackets loss and Hurricanes win, this victory was so important as the Habs remain on the outside looking in, but they are now tied with Columbus, one point behind Carolina for the last two spots in this year’s Spring dance. Jordan Weal’s line applied pressure on the first shift of the game but they were unable to put Pasquale to the test. The Lightning immediately pushed back and attacked the Habs. During a sloppy line change, Victor Mete missed two consecutive breakout passes. The result was more pressure when Steven Stamkos accepted a clearing attempt in the corner of the ice and promptly sent it back toward the front of the net only to have the puck bounce off Max Domi and past Price for a 1-0 deficit only 2:30 minutes into the game. Montreal’s response to the goal was exactly what a fan wanted to see as they went on the attack and mostly took the play to Tampa Bay. At the 10-minute mark, the Habs got the first power play of the night on what can only be described as a blatant interference call against Mikhail Sergachev. On the delayed call, Phillip Danault missed a chance alone in on Pasquale. The man advantage looked quite competent in its first attempt though the result remained an unsuccessful attempt since they had a hard time hitting the net on their chances. As the penalty expired, the newly formed fourth line scored the equalizer. A strong forecheck by Byron with support from Kotkaniemi turned into a lucky bounce that found Thompson in the slot where he made no mistake. The Habs continued to attack as they were beating the Lightning to every loose puck in the first period. With 2:36 left, a gigantic effort from Tomas Tatar and Brendan Gallagher resulted in a Gallagher partial break that saw Pasquale make a great glove save. Before the end of the period, the Lightning caught the Habs off guard and earned themselves a 2-on-1. They fanned on the occasion and Tatar came down the ice and powered his way to the net to create a rebound opportunity for Gallagher who was once again stopped. Pasquale made yet another save before the end of the period as a clearing attempt by Jordie Benn turned into a Byron breakaway where Pasquale closed the five-hole to keep the game tied with a 19-7 shot advantage for the Habs heading to the second period. The second started much like the first as the Habs were outskating the Lightning. Two minutes into the period, Shea Weber served up a great cross-ice pass to Andrew Shaw who was stoned by a sliding Pasquale on the one-timer, and the goaltender was quick enough to snag the puck before Jonathan Drouin (who was in the crease) could get his stick on the rebound. Almost five minutes in, Christian Folin, who was playing a strong game to that point, stood up his player at the defensive blue line only to find the puck behind him and Joel Armia fumbled the puck near the blue line. This resulted in Cedric Paquette redirecting home an Adam Erne shot with Folin missing his defensive coverage on the play to give Tampa the lead. While Montreal’s response wasn’t quite as strong as the first time, they still managed to tie the game a few minutes later. The Danault line had a strong shift on the forecheck and with Gallagher off on an early change, Armia came in, picked up a loose puck, shot, powered his way through Ryan McDonagh to get to his own rebound, and scored from a terrible angle as he bounced it off a scrambling Pasquale. The second half of the period started with the officials getting involved for the second time in the night. This time they got involved by putting their whistles away as Cedric Paquette got away with a blatant trip off a faceoff, then Stamkos got away with about a dozen cross-checks, both infractions coming against Weal. After another two missed calls for interference against Tatar, Brayden Point was penalized for holding Gallagher (though it didn’t look like much of a call, so likely a makeup one there). This man advantage was far more in line with the rest of the season as it was atrocious in effort and execution. Despite this bad power play, the Habs continued their hard work as they finished the period with a 16-11 shot advantage (for those counting, that was 35 shots in two periods for the Habs!). Considering the stakes, the third period understandably started a bit more cautiously by the Habs even if they remained the winners of many puck battles and races. The first chance of the frame came almost three minutes in as Weal outskated his coverage and offered a pass on a platter for Drouin who was tightly covered and couldn’t get his shot off. The Lightning fired back and got the next three scoring chances forcing Price to be at his best in the most crucial moment possible, but Price was up to the task. With 12:35 left, yet another scramble in the Tampa zone ended up on Mete’s stick. What a moment it would have been for Mete’s first, but with Pasquale not even looking, Mete hit him square in the mask. On the next shift, another scramble saw the puck bounce in the air where Artturi Lehkonen hit the puck in midair and then found it on the ground to slide it by Pasquale for a 3-2 lead. The league reviewed the goal for a high stick, and once that was ruled out, Jon Cooper challenged for goaltender interference and the goal withstood that challenge too. The Habs refused to let up as Tatar barely missed the net on the next shift, and Drouin set up Jeff Petry on the subsequent shift and he missed the net too. The second half of the period got started with the Habs extending the lead. Lehkonen got the puck at centre ice and found the Lightning cheating. He sent the puck to Domi who broke in alone and beat Pasquale low glove side for a 4-2 lead. At this point, the Canadiens started playing with even more caution as the Lightning got their offence going, though the Habs were often positioned perfectly to prevent the most dangerous scoring chances against Price. Pasquale was pulled with three minutes to play. Then the officials once again intervened as Tatar was called for holding while Erik Cernak was called for unsportsmanlike conduct. 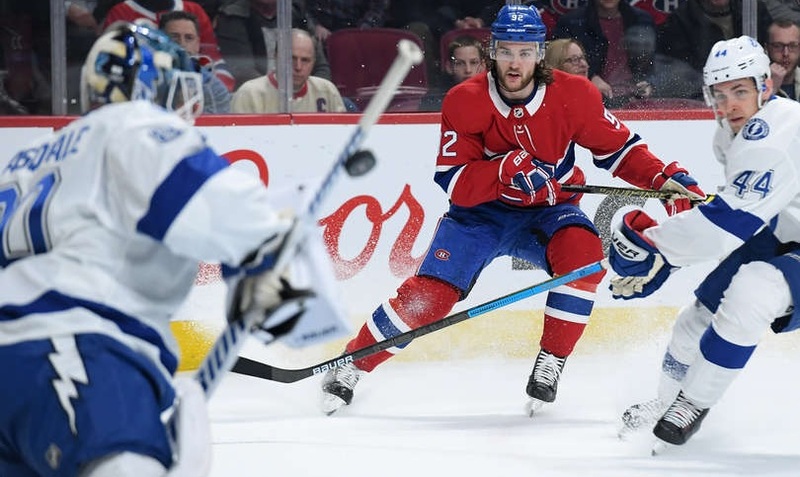 With the empty net, the Lightning were essentially on a power play, but the Habs defended well and secured the all-important win with outshooting the league leaders 45-24. A player who we’ve been waiting for over the last two seasons has chosen an opportune time to start scoring again. While some fans questioned his move up in the lineup, Lehkonen has responded big time since his move to the Domi line. In a tied third period, Lehkonen was clutch with a goal and an assist to lead the way offensively. Oh, how sweet this must feel for the young Finnish player. Stats: 1 goal, 1 assist, +1, 5 shots, 3 assists, 14:57 T.O.I. This one could have gone to either Tatar or Brendan Gallagher as both their play drove the opposing defence nuts all night and created so many scoring chances. Gallagher spent a combined time of at least five minutes staring at the ceiling on this night after missing great scoring chances. Tatar continues to awe and amaze me as I simply cannot wrap my head around the idea that TWO teams sent this guy packing over the last 12 months. Unbelievable! Stats: 1 assist, +1, 2 shots, 2 hits, 18:00 T.O.I. Paul Byron likely played a better overall game than Armia but that effort within its context on Montreal’s second goal must be underlined. The Habs had outplayed the Lightning for the better part of two periods yet found themselves down a goal. For the first time all game, the Lightning looked like they were gaining momentum. Enter Armia who pulls a move with the puck, fires it on net, out-muscles his coverage to get to the net, physically dominates Ryan McDonagh (not any defender, but an All-Star) to get to his own rebound and still had the energy to put it toward the net. This play and physical dominance turned the momentum around and the Habs never looked back. What an effort. Stats: 1 goal, 0 (+/-), 4 shots, 14:38 T.O.I. The list of names is long when counting the players that deserved this spot. The entire team played an entire 60 minutes, but when the team’s most talented player who has been criticized mercilessly by the fanbase plays with all the effort of Gallagher in all facets of the game, it must be underlined even if the scoresheet wasn’t found. What an effort by Drouin who forechecked, backchecked, and created without the costly turnovers. If Drouin played like this even 50 games in his season, he’d be untouchable. Stats: 0 points, -1, 2 shots, 1 hit, 16:13 T.O.I.